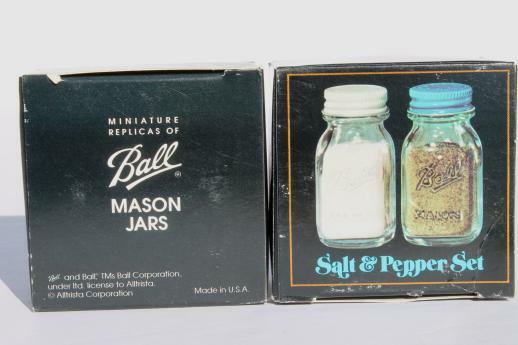 New old stock lot of unused vintage Ball Mason jar salt and pepper shakers, each pair of shakers in its original box. 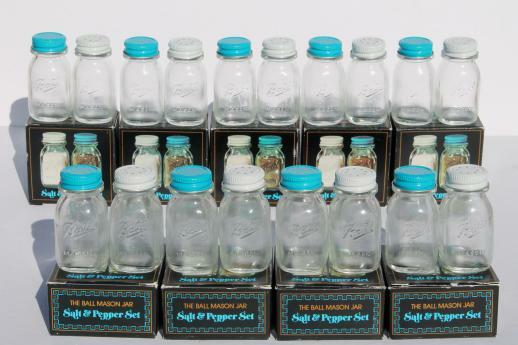 There are nine S&P sets in this lot - the whole lot is shown in the first photo. 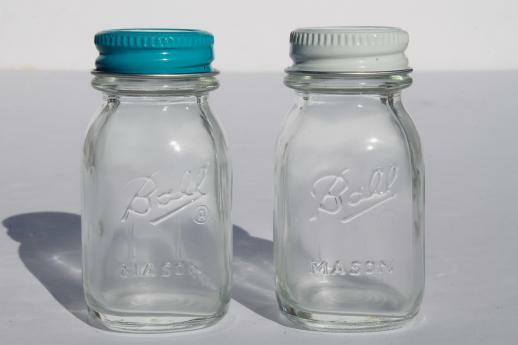 The boxes do have some slight shelf wear, but the shakers look perfect. 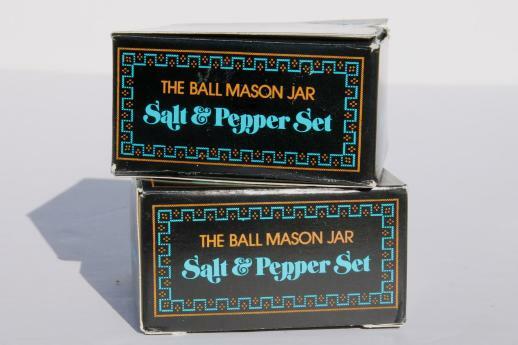 And the boxes look pretty good for being about 40 years old. 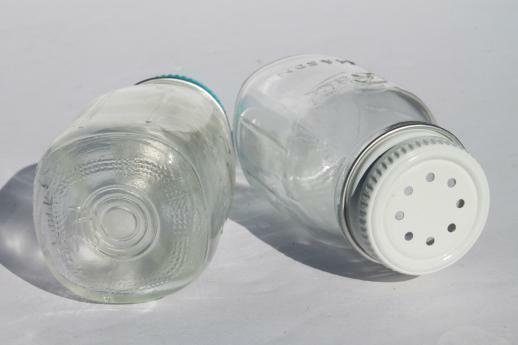 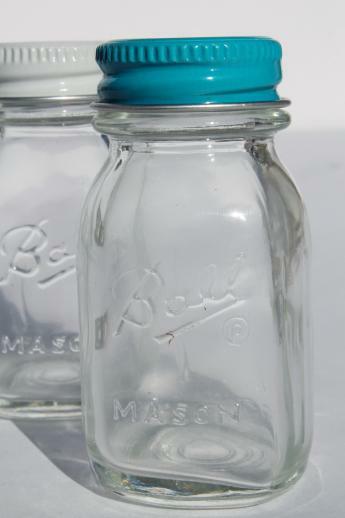 The shakers are embossed glass jars just like the real thing - so cute! 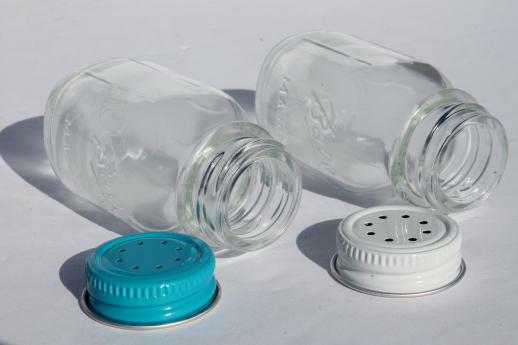 The metal screw top lids are shaker lids. 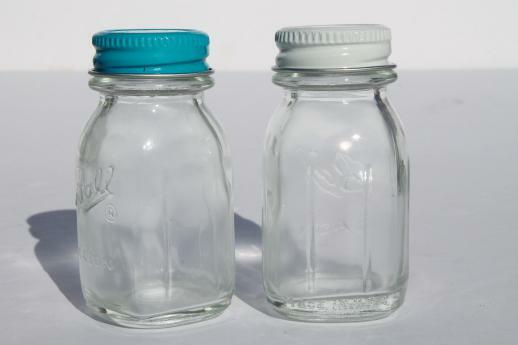 The jars with the lids in place measure about 2 5/8" tall.